AlterG is a revolutionary anti-gravity treadmill that lets patients meet the activity intensity they desire in their workout. The treadmill assists by providing body weight assistance and stabilization to allow for minimal to zero pain while training. Approved by the FDA, and used by top level athletes and professional sports teams, AlterG was developed with NASA technology to decrease the pressure on your joints by allowing the user to run or walk faster than normal effortlessly. At Mondo Sports Therapy, we use AlterG as part of a patient’s rehabilitation, and also make it available for walk-in patients who want to use it as part of their regular training program. 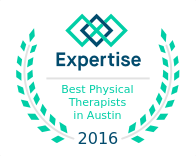 To schedule a session on the AlterG as a “walk-in” client, please call our front office at 512-358-1400. With the AlterG, you can return to walking and exercising post-injury or post-surgery faster, as well as improve your performance thanks to the anti-gravity feature that allows you to run and walk pain-free with comfortable body weight support. AlterG reduces the impact forces that occur during exercises and provides a good environment for controlled biomechanical training. 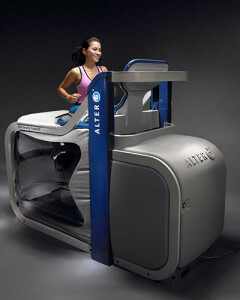 If you want to increase your speed, AlterG gives you a safe way to do it, by allowing you to run faster with support and with less joint pressure. AlterG can also help you build fitness, strength and stability, enhance cardiovascular performance, and helps you go longer, faster. 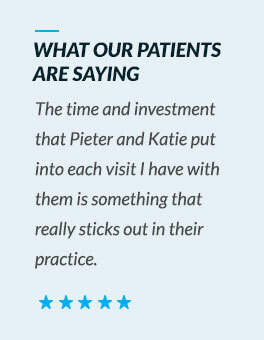 AlterG is a proven way to engage patients and increase their confidence and motivation by letting them train with less worry and less discomfort. Reduce gravity’s impact by adjusting your body weight support between 20% and 100% by 1% increments so that you can walk and run pain free. Do speedworks without the strain on joints that is normally associated with high level workouts. AlterG is also a powerful general fitness tool, letting patients experience reduced body weight up to as much as 80 percent. For more information or if you would like to know if Alter G would be a good treatment option for you, please schedule an appointment or contact us.